Join retirees and those close to retirement who are helping young kids improve their reading skills one book at a time. Retirees support the Square One Project by raising money for AARP's Experience Corps, which is helping kids learn to read by placing volunteers ages 50+ in classrooms as reading tutors. Research shows that reading at grade level by the end of 3rd grade helps students shift from learning to read to reading to learn. Two-thirds of U.S. 4th graders are not reading at grade level, and more than four out of five low-income students miss this critical milestone. Research shows that volunteers who devote a considerable amount of time to volunteer activities (about 100 hours per year) are most likely to exhibit positive health outcomes. 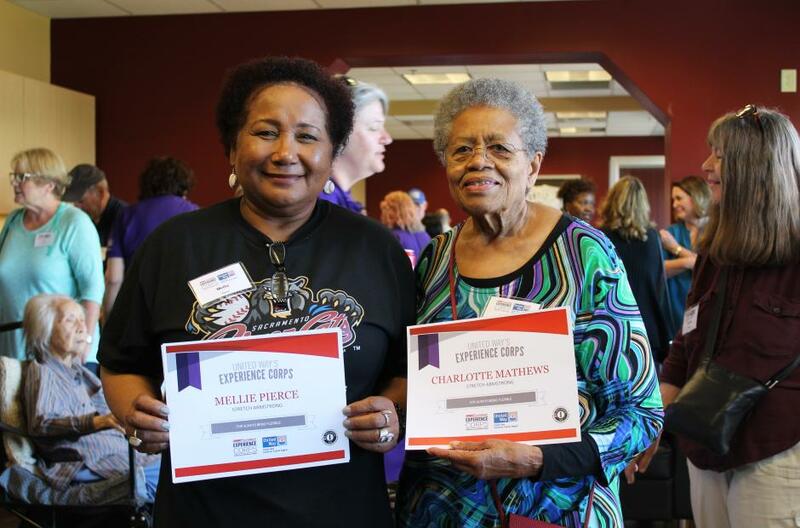 On May 15, 2018, the AARP Experience Corps volunteers enjoyed an afternoon at Raley Field watching the River Cats and being recognized for their efforts in helping kids read this past school year. Over 65 people including volunteers, guests, representatives from UPS, and members from the school districts all came together. Bill Kessler is an AARP Experience Corp volunteer through United Way California Capital Region. 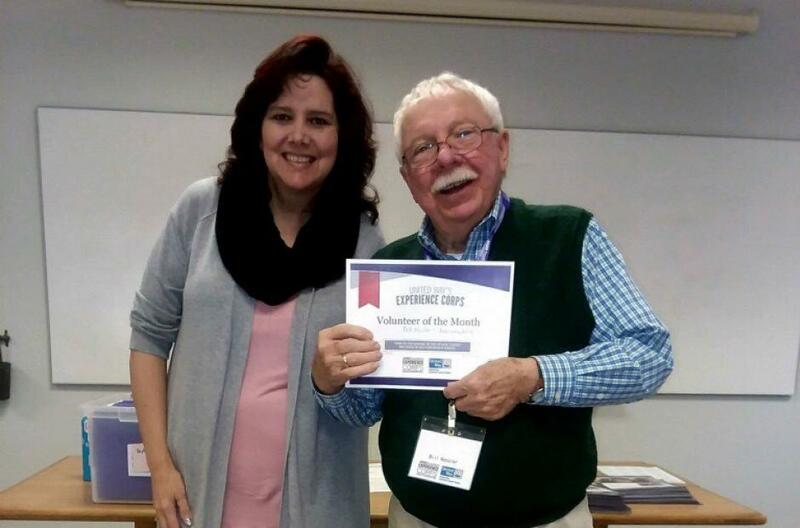 After volunteering with the group for two years, he has been recognized as the first Volunteer of the Month. He grins, eyes lighting up, excited to begin, and he warns me that once he starts, he just can’t stop. While he had a full head of silver hair, something about him reminds me of a kid that was about to make a new friend on the playground. After only 1 year of operation, local data proves that Experience Corps works for students and for volunteers. Nationally during the 2016-2017 school year, 1,993 volunteer tutors helped 31,466 students in 241 schools in cities across 16 states. For the same school year, United Way had 27 volunteer tutors helping 273 students in 9 schools across 4 school districts. For students, external research by Washington University in St. Louis proves Experience Corps effectiveness in improving literacy. Students who worked one-to-one with Experience Corps tutors for a single school year saw more than 60% greater gains in critical literacy skills compared to students who were not served by the program. When you compare our local program with the National program, you can see how successful we were in improving children’s literacy skills.